Google is getting the week off to an interesting start by purchasing a 6.3% stake in Himax Displays. The transaction has to be approved by regulatory and governmental agencies before closing. The purchase includes an option that Google will hold that can increase its ownership in the company to 14.8% over the next year. Himax Displays is a subsidiary of Himax Technologies and manufactures small displays like those used for Google Glass. Himax Displays says it will use the investment to fund production of Liquid Crystal on Silicon chips, which are used to display images onto head mounted devices, head-up displays and pico projectors. Jay Srivatsa, managing director of equity research at Chardan Capital Markets, says that the investment works out to about $20 million or $40 million. Google is expected to make Google Glass more widely available later this year, and as a result, needs to be able to procure from a reliable source a large quantity of glass. With this investment, Google now has secured itself one of the more important parts it needs to make the wearable device. 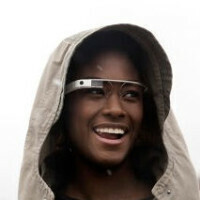 If Google can sell Glass for $1000, maybe I would buy. I would not pay more then the cost of designer proscription glasses. $3-500. This is also first gen technology. Arnold Schwarzenegger definitely needs a pear. Come with me if u want to live, oh wait I don't need him now. I guess they see future use in the prism display -- just like Samsung bought a small stake in Wacom for the pen. It is pretty interesting though. While it's super blocky it gives you a clear and sizable image while being small and close to your eye. Other technology that replicates that either hurts your eye or requires a special contact lense that makes you night blind to see the paired close-up display. Makes sense from a strategic sense and a better investment than HTC's $300 million in Beats Audio.